Teachers are better versed today on how to assess and evaluate their students than they used to be. I base that on having been an educator since the 1980s, and not really having a clue about what meaningful assessment or evaluation meant when I started out. Back then I just did all the things my old teachers used to do (assign a quiz or two, throw in a test or mid-term, add an essay that was graded with a couple of comments, deduct a late penalty, tally up attendance and homework checks to produce a “participation” mark, then finally add all those results via a calculator and Voila!). Cameron and Gregory, two long-time West Coast educators, explain what a better system for assessment and evaluation can look like. They show the vast array of qualitative and quantitative assessment tools that exist (such as rubrics, mark schemes, portfolios, observation records, scoring keys) and then argue the evaluator needs to take that evidence and then selectively match it (rather than blindly “total up”) to a letter grade. 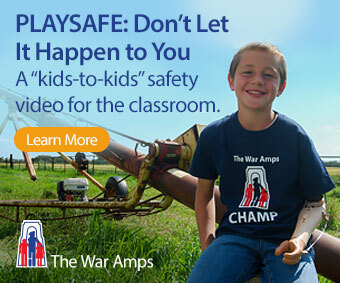 They offer personal stories of students they have taught (such as Kevin who ultimately learned the math but failed the course because his June report card included numerous zeros, late marks, and boat anchor averages harkening back to the fall), fully explain terms like “counterproductive grading practices,” and then offer a five-step approach to better evaluation. While I suspect few readers will uncritically adopt the “Big Idea and Learning Map” approach that Cameron and Gregory advocate (it looks like a whole lot of work for one thing), the sound principles that it is based on can be adapted to fit the needs of both teachers and students in a myriad of ways. 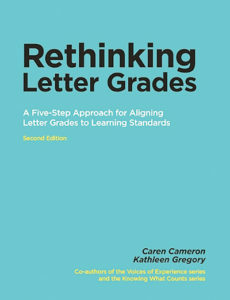 Designed for anyone who evaluates others, Rethinking Letter Grades is primarily aimed at teachers who spend much of their career doing that, but rarely get much pre-service training in the subject. This concise book is an ideal resource for bachelor of education programs and professional learning communities.